VI HAR I MANGE ÅR SAMARBEJDET MED DE BEDSTE INDIVIDUELLE ATLETER PÅ JORDEN. NU TRÆDER VI IND I EN NY ARENA. HOLDSPORT. 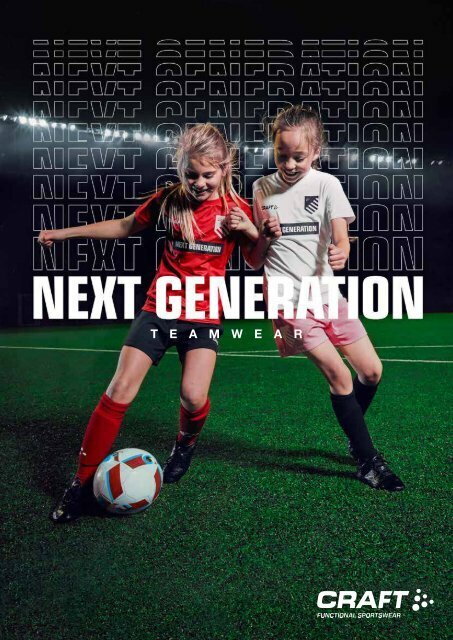 NEXT GENERATION TEAMWEAR ER DESIGNET TIL AT SÆTTE SKUB I UDVIKLINGEN AF BÅDE NUVÆRENDE OG FREMTIDIGE TALENTER. KOLLEKTIONEN BESTÅR AF INNOVATIVT OG FUNKTIONELT TØJ, DER SIKRER, AT ALLE PÅ HOLDET KAN YDE SIT YPPERSTE.